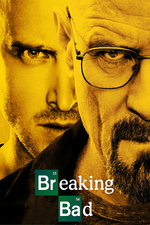 Walt deals with the aftermath of the plane crash and Skyler's anger as Jesse comes to a new realization about himself. A new threat to Walt appears. Skyler considers her next move. Reintroducing the Cousins, who were first mentioned by Tuco in S2E2 Grilled. This episode was written by Vince Gilligan and directed by Bryan Cranston. Typically Cranston was only able to direct the first episode of a season, as directing demanded a week of preparation prior to shooting that would be impossible for an actor also fully committed in the previous episode. Cranston also directed S2E1 Seven-Thirty-Seven and S5E9 Blood Money, both season (or half-season) premieres. AMC content (video): Director of Photography Michael Slovis on the opening scene; Transportation Captain Michael Milliken on the hay truck scene. Oh my god the Cousins are so damned scary. Another point in the road where Walt could quit here, and he almost seems to. He even comes clean to his wife, who unsurprisingly doesn't take it terribly well. Walt's behaviour will become increasingly unpleasent to Skyler from now on. A good episode showing both Walt's rationalizations and his realization of what his life of crime has already cost him. When I first saw this episode, I wondered how they did the special effects where the hay truck blew up (the fire, the smoke, the lighting changes, the things falling around the cousins).... As you can see in the hay truck link above, they actually blew the truck up. The actors talk about the scene in one of the DVD extras; there were no special effects, just some careful lens choice. I'm amazed the actors didn't flinch given the size of the explosion and the things dropping around them; it's not like they could do several takes of it.